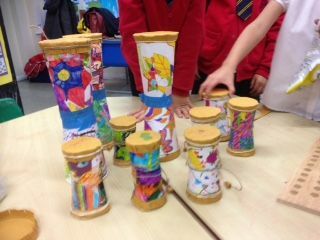 After spending a bit of time designing and making our own sheet of patterned paper we used it to make a small drum inspired by instruments from all over the world. 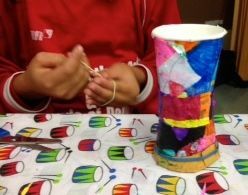 We had some problem solving to do when it came to assembling the paper cups and finding ways to paste our patterned papers onto the drums. 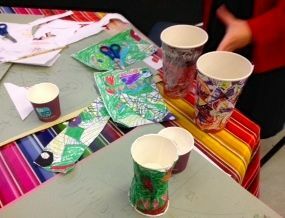 We had stencils to cut the right shapes and added slits so the patterned paper covered the cups easily. 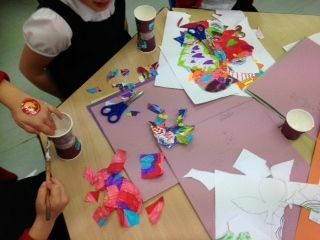 We then pasted the paper to the cups and added a good layer of glue. 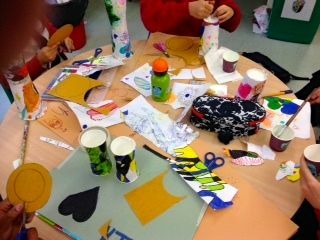 and we got to see many happy and proud faces. 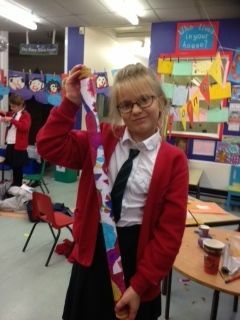 Vasare made a rainstick from her patterned paper. 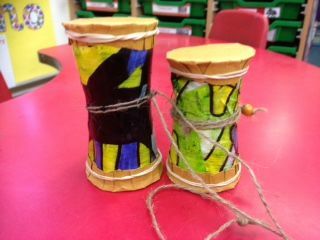 Different shaped cups made different drums and they all made variety of sounds. 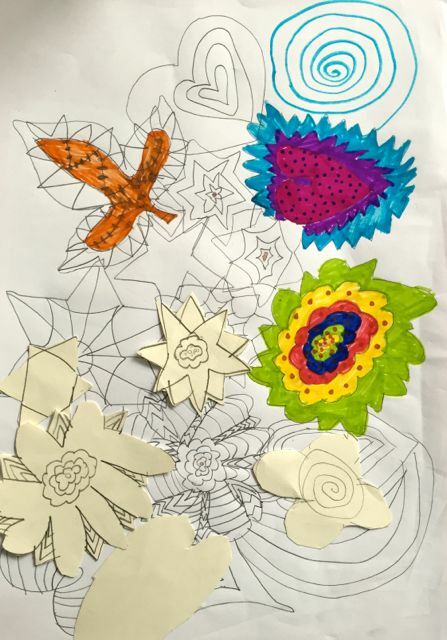 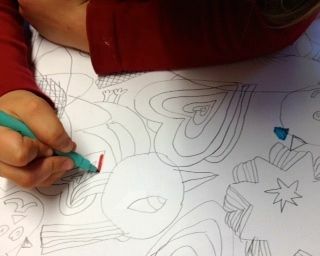 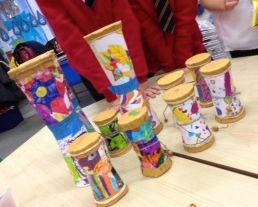 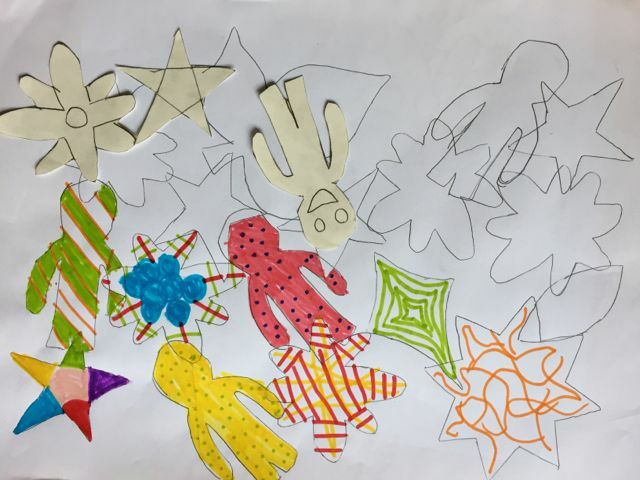 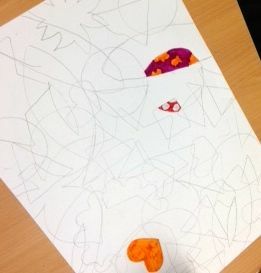 After responding to music at the start of the term to make marks and patterns – we then used new patterns to make instruments – the makers of music – we could start the circle all over again!